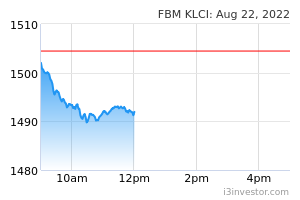 KUALA LUMPUR: The government is to consider listing its mature government entities in the stock market in the future and reduce the shareholding of some of its government-linked companies (GLCs) in public-listed companies. The Prime Minister Tun Dr Mahathir Mohamad said the plan was to ensure greater risk control parameters on the issuances of Government Guarantees, better market access and identification of opportunities on potential asset monetisation. “The key guiding principles for monetising any of our assets is that the disposal or monetisation must never be done at fire-sale prices, and any disposal of shares, monetisation of assets, auctions or other measures will be done in an orderly manner and communicated cohesively across all implementing entities. “There shall be no disruptions to the capital markets, confidence to the financial markets, rating environment and economic growth,” he said in his keynote address during Invest Malaysia 2019 here, today. The Prime Minister also stressed that it was never the government’s intention for the GLCs to crowd out the private sector. “Our desire is to have the GLCs play certain catalytic roles to support the economy. We would like to invite the private sector to join the GLCs in fulfilling some of the national economic agenda,” he added.